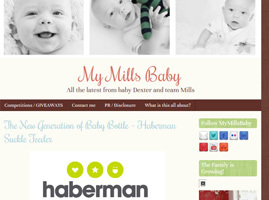 The Suckle Feeder from Haberman gets reviews by members of TheBabyWebsite. Ladies and Babies that lunch! My twin boys have just turned one! When you first have a baby everyone tells you how quickly they will grow up and how fast the time will fly….. at the time, I didn’t believe them and no doubt during the long sleepless nights, I was begging for this to happen! But, now they’ve finally reached this key milestone, I’m gobsmacked that we’ve got here so quick! !